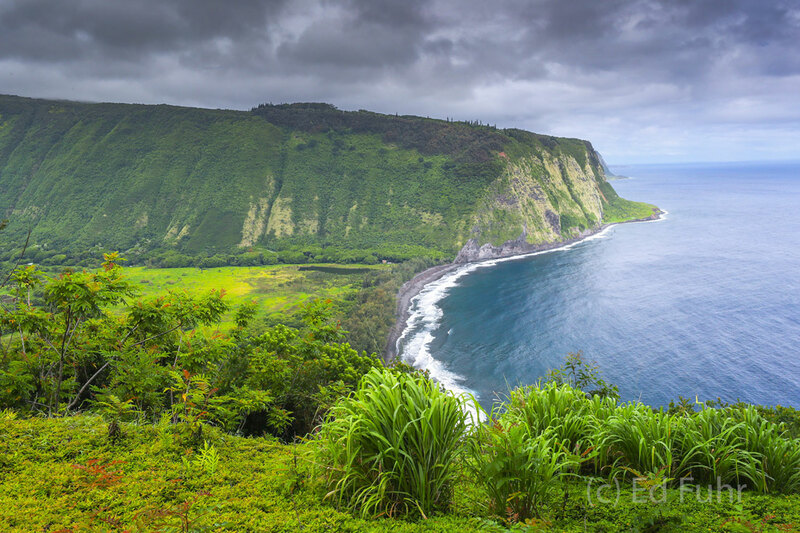 One of the great overlooks on the Big Island, Waipio Overlook provides a view of the northern coast, Waipio Valley and Hakuna coastline. The gravel road to the beach below is said to be the steepest in the world, and it is in many areas only wide enough for a single car. The ravines on its side are littered with cars that have failed to navigate safely.